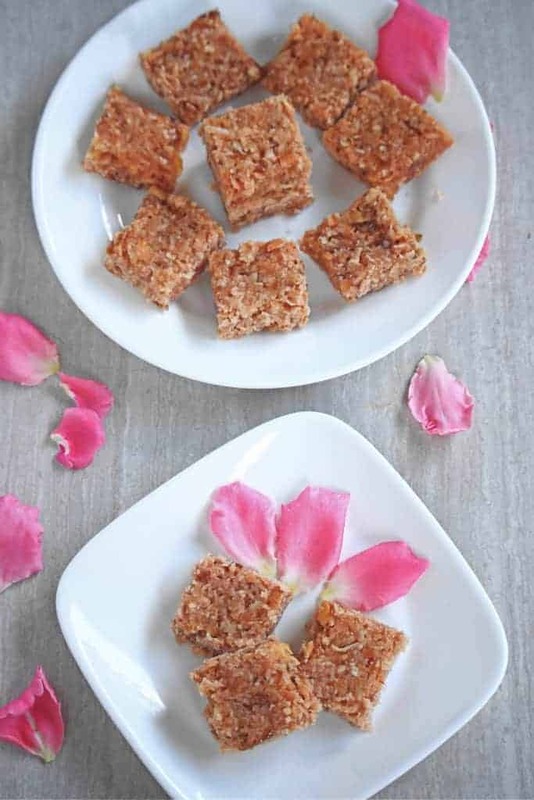 Coconut Gulkand Burfi is an aromatic and flavored dessert made with coconut and Rose Petal Preserve. 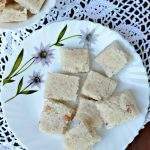 I love Burfi and out of the all I make, Coconut burfi happens to be my favorite. 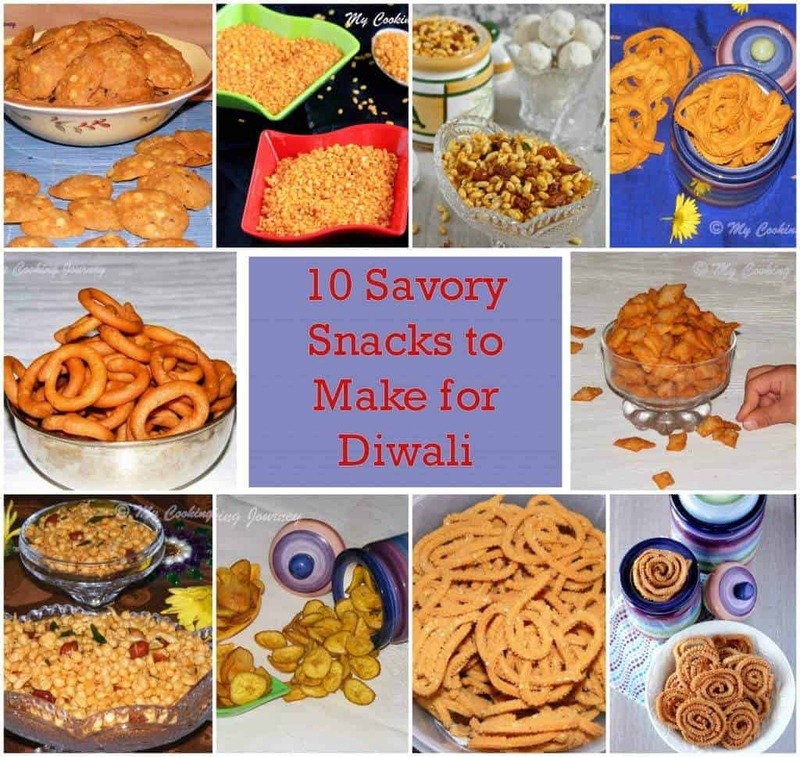 My theme for this week’s BM is Diwali sweets and savories. After yesterday’s Aloo Bhujia, I was in a sweet mode and wanted to make something for my sweet tooth. I bought a large pack of Gulkand or rose petal preserve from the Indian stores few weeks back. Apart from eating it inside a Paan as a mouth freshener, I was not using it at all. 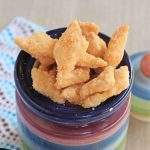 I have heard of several recipes using the Gulkand and so I wanted to make some. 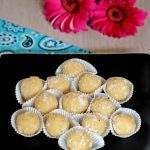 That is when I thought I will make favorite Coconut burfi but with Gulkund added to it. 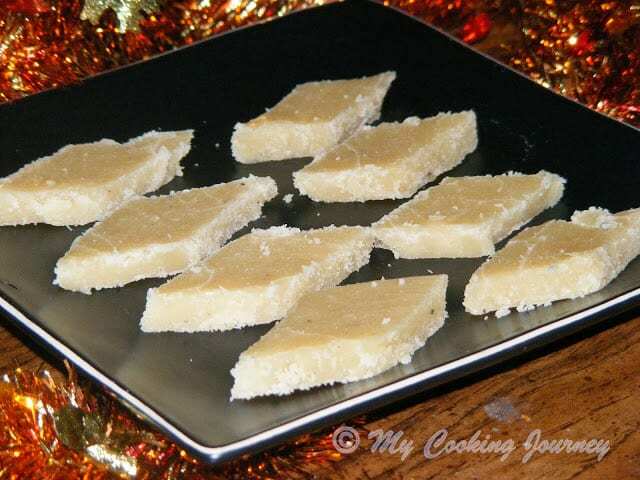 I followed almost the same recipe as my Coconut Burfi, except used Gulkand as well in the burfi. I reduced the sugar slightly from the recipe as the Rose petal preserve has sugar in it. Apart from this, I did not make any changes to the recipe at all. The Coconut Gulkand Burfi had a pleasant floral after tone to it and it also gave a beautiful caramelized color to the burfi. 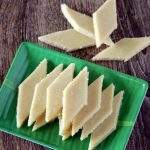 It is a good change from the routine coconut burfi. 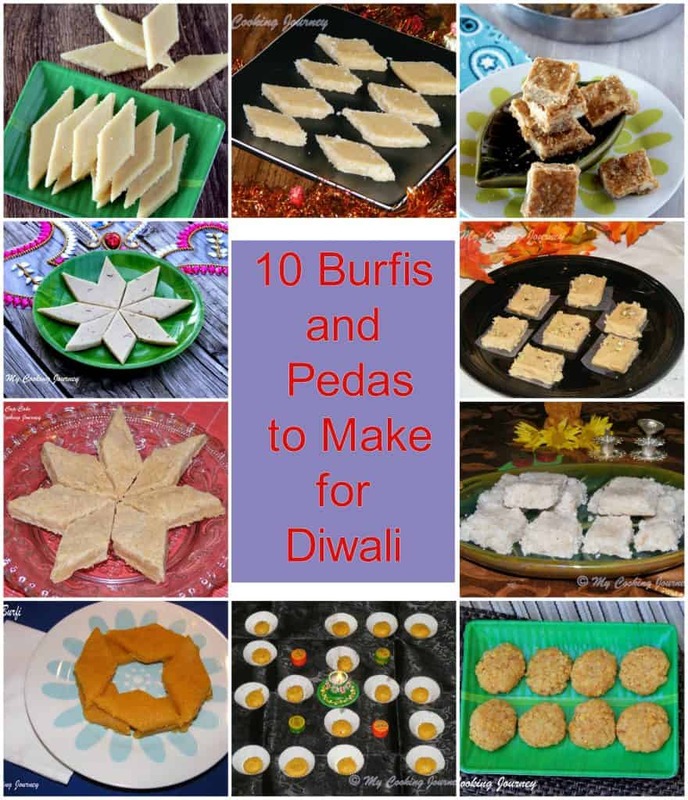 Make sure you use good quality Gulkand to make this burfi. Gulkand is a delicacy in Indian and Persian cuisine. 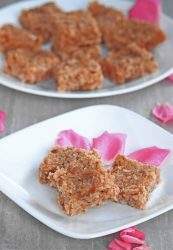 It is made from the aromatic rose petals and made into a preserve by cooking it along with sugar. The most common way I have tasted gulkand is in the meetha paan (sweet Betel). The gulkand imparts a very beautiful color and also a floral undertone to the burfi. 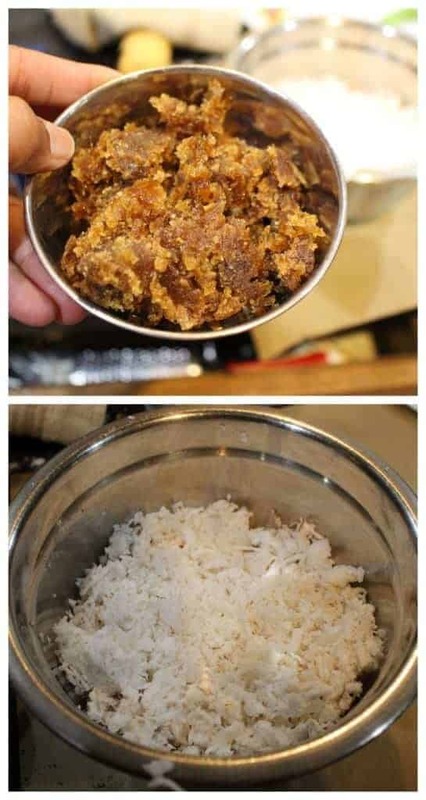 Grate the coconut and remove all the brown parts and have just the white part ready. If using frozen, thaw the coconut and measure. Also measure the Gulkand and keep it ready. Grease a plate in which we will pour the prepared burfi with ghee. In a heavy bottom pan, Heat 1 TBSP of ghee and fry the cashews until golden brown. Remove it from the pan and keep aside. In the same pan, add the sugar and 1 cup of water. Let the mixture come to a boil. The sugar syrup need to come to a soft ball consistency. 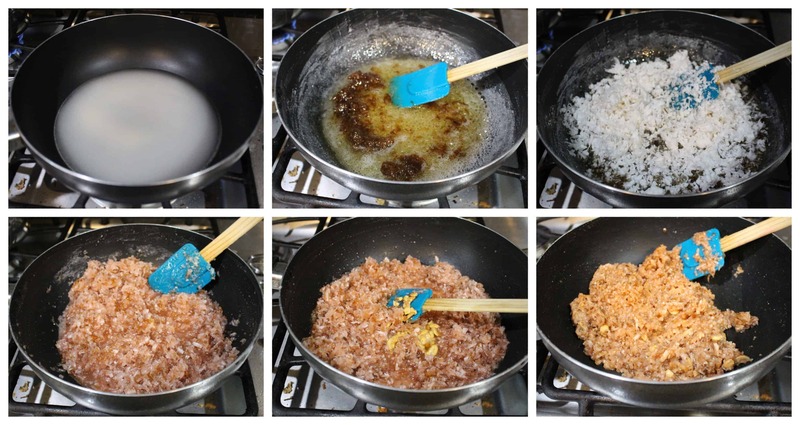 You could either use a candy thermometer or drop a small drizzle of syrup into a bowl of water and try to gather it up. The syrup when picked up from the water should form a soft ball. I could not take a picture of this particular stage this time, but you could check the picture in my Coconut Burfi post. At this stage add the measured Gulakand to the sugar syrup and mix well to dissolve. Add the grated coconut and mix. The mixture will loosen a bit. Continue to cook in low to medium heat. When the mixture starts to thicken a bit, add the fried cashews and the cardamom powder and mix to combine. 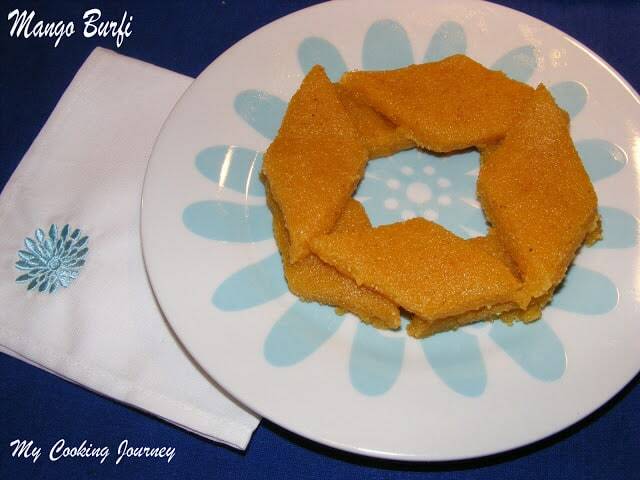 Keep cooking the burfi until it starts foaming up at the sides of the pan and starts to leave the sides of the pan. It will start to clump up to the ladle and this is the stage we remove it and pour it on the prepared tray. 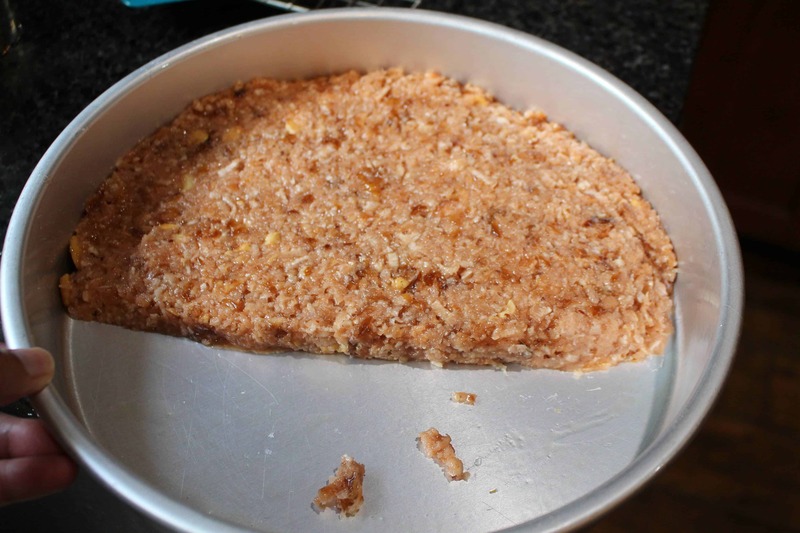 Flatten the burfi to the desired thickness and let it cool down. When the burfi is still a little warm, using a greased knife, make cuts. Let the burfi cool down entirely and then separate it out and store it in a airtight container. That is a superb idea, Sandhya. 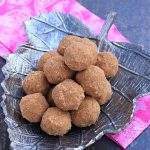 I made gulkhand flavored rava laddu but coconut burfi is brilliant. I wish I could ask you to parcel a few squares for me… they look so tempting! Wwow, thats a brilliant idea to add gulkand in coconut burfi, dunno why i never thought of this combo.. Amazing and very irresistible burfis there Sandhya.. Kudos to u yaar. I love the flavour of gulkand in sweets. 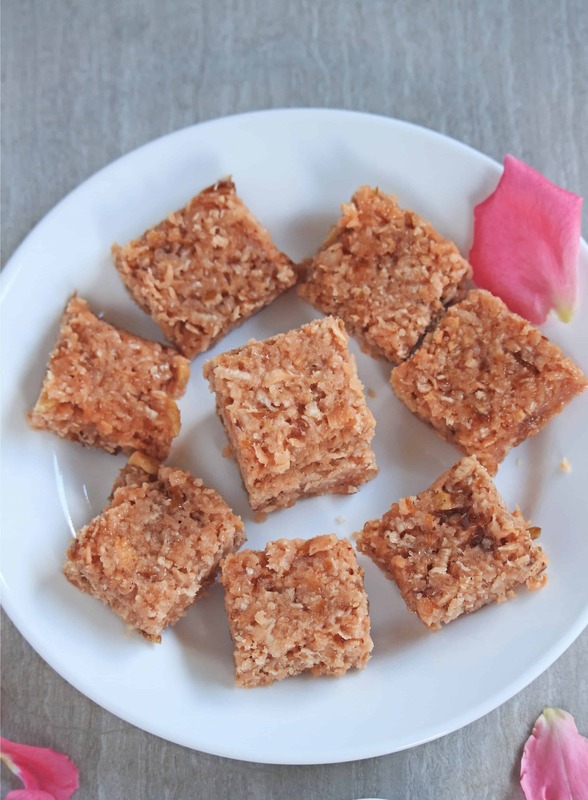 This coconut burfi with gulkand sounds fantastic Sandhya. Perfect for festivals. You have taken a humble coconut barfi to a different level with the use of Gulkand! 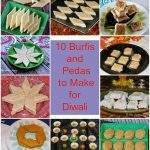 Not sure if Ican make a huge batch for diwali distribution, but will make a small batch for the kids. 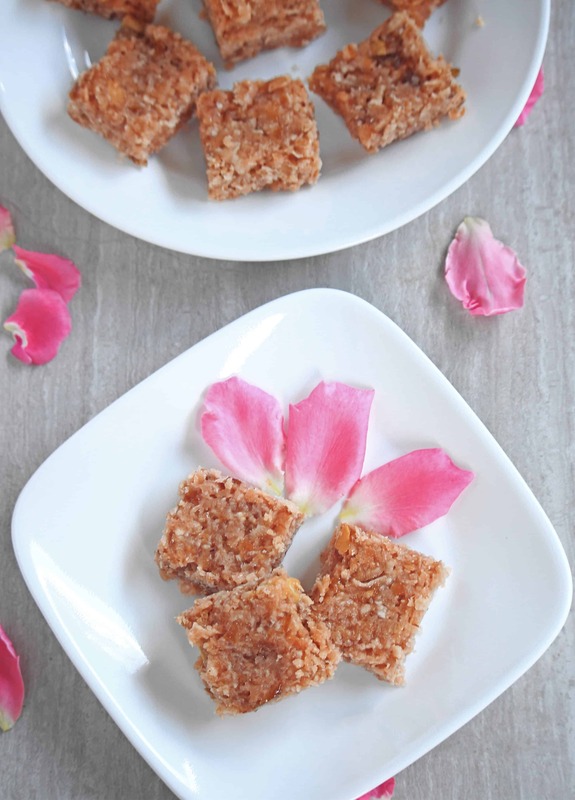 Loving this gulkand twist to the coconut burfi. It must have added that subtle rose flavor. Can’t wait to try this yummy sounding version. Wow! That’s great! 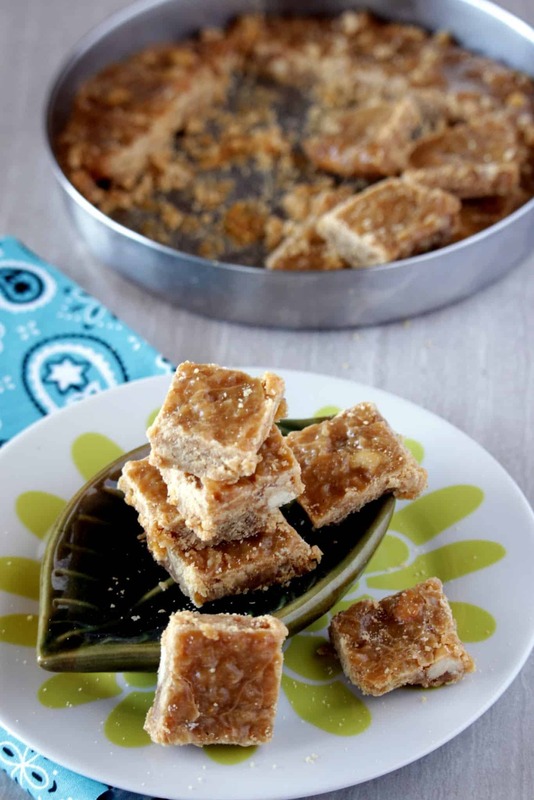 Two ultimate flavors together in a burfi and what a lovely color gilkand has imparted to burfi making it irresistible. Fantastic one to make for the festival season. Amma mostly makes this as the final one with sugar saved after making other sweets..this burfi with gulkand must have tasted awesome! 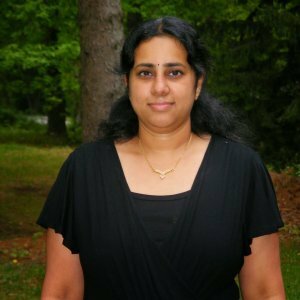 Adding gulkhand to coconut burfi sounds absolutely delicious Sandhya. Would love to give these a try some time soon. 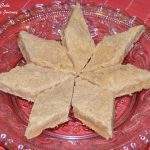 We are gulkand fans and a barfi from gulkand is sure yum. Your pics and the barfi is making me drool. Looks very colorful and the taste of gulkand must give an awesome flavor to the humble coconut burfi!! Looks fab sandhya!